It’s time for the February My Favorite Things card kit launch! The Gumball Greetings Kit is available right now in the MFT store! 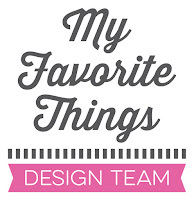 Be sure to check the MFT blog for a full list of kit contents and to see what the rest of the design team created! This is such a fabulous new kit! Your card design is awesome! That's another way of using the background papers...Thanks for sharing. Sweet card and new gum ball kit! Lovin it! A rainbow striped gumball machine- how fun. Thanks for sharing your version of the new gumball machine kit. Pretty card Francine! Always love the paint splatter!! Love the details of your sweet card! Great colorful card...love the card design as well. This card is great! Love the colors! Super sweet! I love the ink splatters! Love the striped gumboil machine and the background splatters. Very unique!! Wow, it looks so different done up in a pattern paper...fun. Like how you used to patterned paper to cut out the gumball machine! Cute--I like the striped gum ball base. Love your idea, great card! Great use of the pattern paper, that's a fun twist. Thanks for sharing! Sweet card! Can't wait till my kit gets here! Love the black splashes in the background! Fun card - love the colors you used. 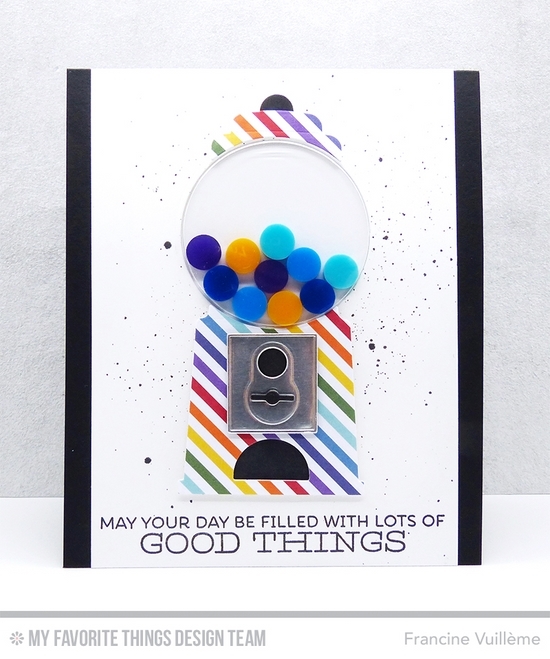 Such a fun card - love the stripey gumball machine. Thanks for sharing! Love the gumball machine, nicely made. Thank you for sharing Francine. Love that you used the patterned paper for the actual gum machine!! AWESOME card, Francine!! !